Nowadays, organisations rely on multiple processes where information flows through different peers to accomplish business goals in an efficient and effective manner, but it can be really challenging to understand how well these processes are implemented. 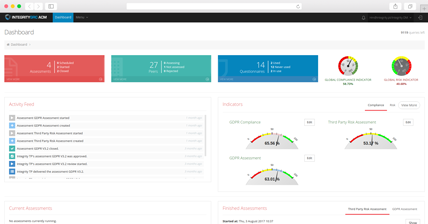 ACM allows organisations to easily gather information from multiple peers and to keep a close eye on the risk and maturity levels of your organisation. Peers assessment avoids the biases and challenges that can hinder an objective evaluation of a company’s compliance culture. Peer assessment is checked for compliance with the legal requirements. Therefore, trust in the organisation is strengthened and the reputation and brand are enhanced. Defining your own requirements provide a clear basis to guide operations and help your organisation to better achieve common objectives and goals by providing a consistent framework. Requirements ensure everyone is on the same page of your organisation, allowing for a clear understanding of what needs to be done, which increase confidence within and outside an organisation. 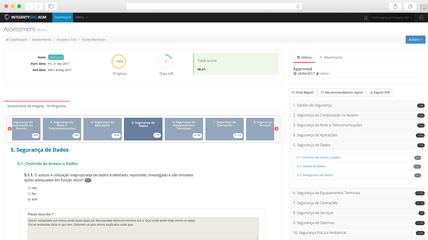 Customize and Monitor Risk and Compliance Indicators. Customize your indicators for an effective risk management. 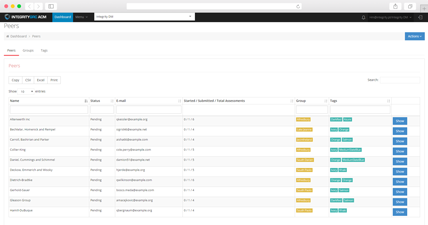 Any indicator can be easily added with just a few clicks, allowing you to customize and map your organisation’s risk profile. 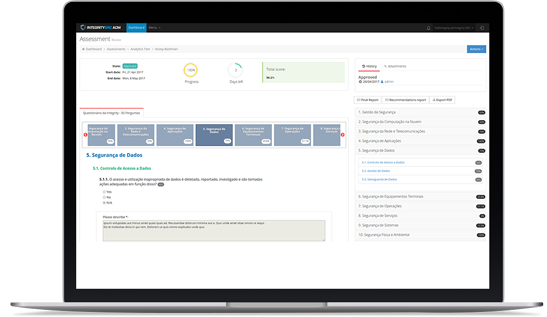 ACM is a module that provides executives with accurate and business relevant analytics through a comprehensive dashboard tailored to users’ specific needs. 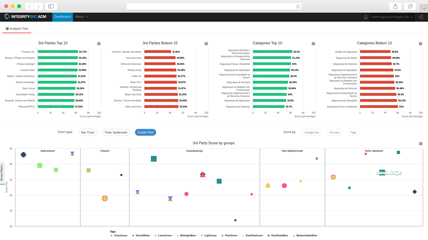 IntegrityGRC platform can build fully branded dashboards with cross-data analysis, trends and key driver analysis. Provide reports and recommendations to management and peers. 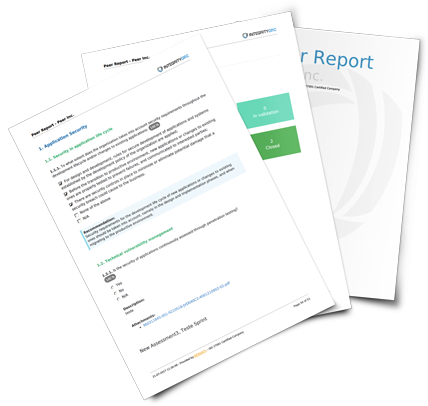 Review, download and print robust reports and risk dashboards. An effective sustainability reporting cycle leads to an increased understanding of risks and opportunities, compare performance internally, and between peers and sectors, and enable stakeholders to understand the organisations’ true value.